is a travel and history writer whose work has appeared in Lapham’s Quarterly, The Wall Street Journal and Die Zeit. He has written books on a variety of subjects, such as The Art of Lying Down – A Guide to Horizontal Living (2013) and Birdmania: Remarkable Lives With Birds (publishing in 2017), among others. He lives in Istanbul and Berlin. Winter can mean different things, depending on where you are. It rages most fiercely in the north – in Scandinavia, Siberia, Alaska or Canada – and in the extreme south, the Antarctic. In these places, winter is the darkest season. The Norwegian village of Rjukan, tucked away in a steep valley, was shaded from the Sun for close to six months of the year, until its inhabitants began using giant mirrors to direct sunlight into the vale a few years ago. There’s no such thing as a ‘typical’ winter, geographically speaking. But some kind of universal cultural image seems to have grasped the collective imagination in its cold talons. Think snowfalls, swirling ice-storms, Game of Thrones, Disney’s Frozen. What’s the appeal of the idea of an extreme winter? Even in the Arctic, the season isn’t one long blizzard. Because of the dryness of the air, it doesn’t snow very much, though once it falls, it lasts longer than in more temperate climes. The form winter takes is a matter of location, latitude and altitude. In the temperate areas of Brazil, the cold sets in between June and August, when residents start priming themselves for ‘chilly’ temperatures of 20 degrees Celsius. Pullovers, scarves, wool caps and anoraks are considered essential, and the beaches are empty. The existence of four seasons is a feature of the middle and upper latitudes, and a vestige of the geopolitical dominance of the countries affected by such seasonal shifts. The ancient Romans were among the first to carve up the year into quarters, as a way of attempting to control the inherent variability of nature and to plan recurring tasks. Why did this particular system catch on? Perhaps because there are certain parallels with the phases of human life: childhood, youth, adulthood, old age. Yet it’s possible to divide time differently. 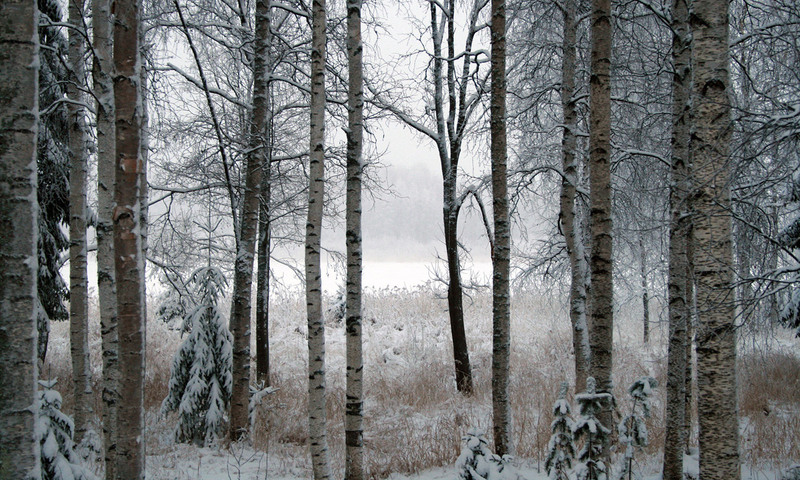 For the Sami, the indigenous people of Scandinavia, the year consists of no less than eight separate seasons. In Australia, Timothy Entwisle, the director of the Botanical Gardens in Melbourne, has suggested scrapping the European approach and introducing a five-season model that better suits the antipodean reality. All over the world, animals and plants have had millions of years to adapt to low temperatures. We humans, however, are tropical beings, with biological origins in the African savanna. We haven’t even had the time to develop fur. Over the centuries, we’ve made a multitude of efforts to deal with the cold season: meteorology, heating, insulated homes, food preservation, appropriate clothing. The legendary ice-man ‘Ötzi’, who lived more than 5,000 years ago, is Europe’s oldest natural mummy; he was found in a glacier in the Alps wearing five different types of skin and fur, including leggings and a hat. But climate change is a confounding factor. Now that we have officially arrived in the Anthropocene, winters in many places are getting shorter, wetter and warmer. In fact, 2016 was the hottest year since records began. In some parts of North America last year, autumnal foliage lasted almost a month longer than normal, and frost came extremely late. In the Mediterranean and the American South, the summers have grown hotter and longer than before, and the winters are correspondingly shorter and milder. (The picture is complex, since melting sea-ice has affected the movement of the powerful air and ocean currents that moderate the climate in some parts of the world – a profound change that might account for the increasing frequency and harshness of ‘cold snaps’ in Europe and North America.) Especially now, we can’t succumb to myth of fairytale winters. Unsurprisingly, as with everything that’s scarce or unpredictable, ‘winter’ can now be dosed out as a well-measured product, an intense sensual experience. ‘Ice swimming’ in gelid lakes or beside glaciers is a popular topic on local European news broadcasts every winter. For those of us who can afford it, a weekend at an ice hotel might beckon, or a trip to the Arctic that allows us to see vast expanses of vanishing ice up close. Knowing that we might be among the last generations to see sea-ice seems to add a morbid, illicit thrill to the exercise. The devastating effects of these changes on the Earth’s natural ecosystems should be our most urgent concern. But we might also consider what we will miss, philosophically and spiritually, if winter as we know it disappears in the Anthropocene. Winter, for me, is a period of reflection and regeneration, of withdrawal, reminiscent of a time when humans were forced to be more malleable and responsive to the seasons. Each year, I long to see the landscape around my home in Germany transformed by the cold: frost-limned trees, crisp air, and snow shrouding everything, muffling every sound, as if covering over the acoustic evidence of humanity. But human intervention will affect the phenomenology of winter. This is not just because of meteorological change. Knowing that the caprices of the weather are caused by us, as much as by any ‘natural’ process, changes how we experience the seasons: our relation to them, the respect and interest we accord them, and the way that they affect our perception of our place in the world.